Oligopoly is a market structure in which a few firms dominate the industry; it is an industry with a five firm concentration ratio of greater than 50%. 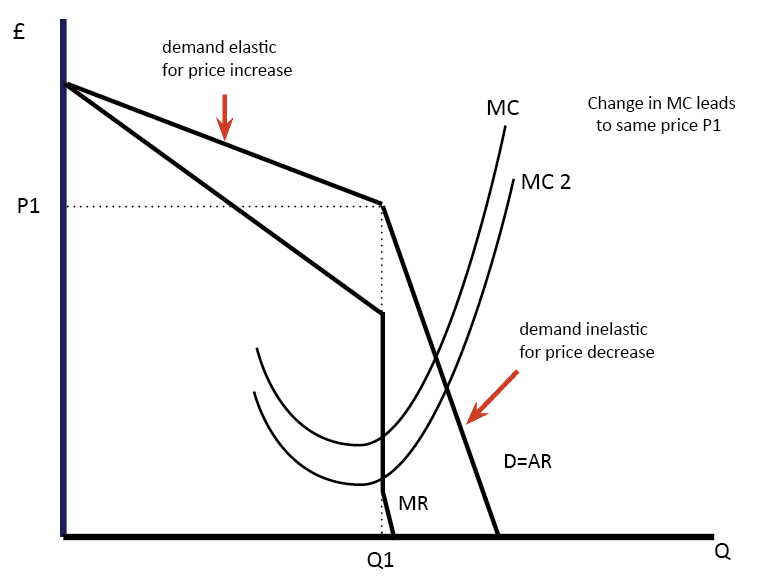 The kinked demand curve model suggests firms will be profit maximisers. At p1 if firms increased their price, consumers would buy from the other firms. Therefore, they would lose a large share of the market and demand will be elastic. Therefore, firms will lose revenue by increasing the price. If firms cut price then they would gain a big increase in market share. However, it is unlikely that firms will allow this. Therefore, other firms follow suit and cut-price as well. Therefore demand will only increase by a small amount: Demand is inelastic for a price cut and revenue would fall. 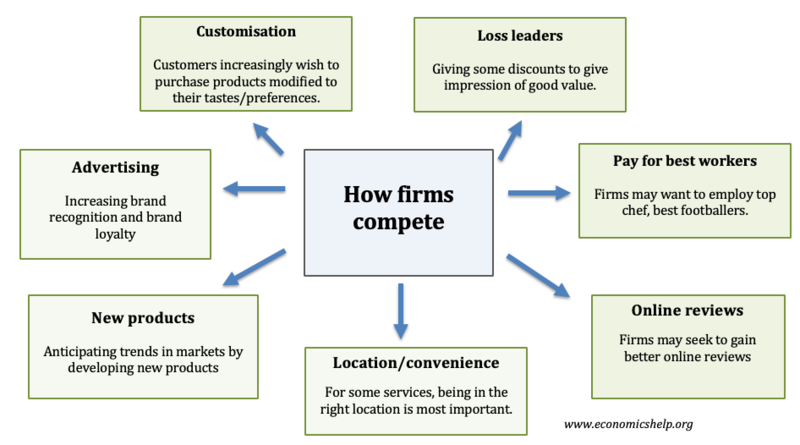 If prices are rigid and firms have little incentive to change prices they will concentrate on non-price competition. This occurs when firms seek to increase revenue and sales by various methods other than price. For example, a firm could spend money on advertising to raise the profile of their product and try and increase brand loyalty, if successful this will increase market sales. Advertising is a big feature of many oligopolies such as soft drinks and cars. Alternatively, they could introduce loyalty cards or improve the quality of their after sales service. When buying a plane ticket price is not the only factor consumers look at, they may prefer airlines with more leg room, air miles e.t.c. Non-price competition depends upon the nature of the product. For example, advertising is very important for soft drinks but less important for petrol. A firm may engage in predatory pricing; this occurs when the incumbent firm seeks to force a new firm out of business by selling at a very low price so that it cannot remain profitable. Game theory looks at different possible outcomes of oligopoly – depending on how firms react to different decisions. However, when prices are high, there is a temptation to undercut your rival and benefit from both high market prices and high output. This enables higher profit – £10m, but if firms start to cheat – then rivals are likely to retaliate by cutting prices too. 2. A dominant firm, who is able to have a lot of influence in setting the price. 7. No effective government legislation, e.g. collusion is illegal in the UK. There is no certainty in how firms will compete in Oligopoly; it depends upon the objectives of the firms, the contestability of the market and the nature of the product. Some oligopolies compete on price; others compete on the quality of the product. Petrol is a homogenous product and so is likely to be quite stable in prices. 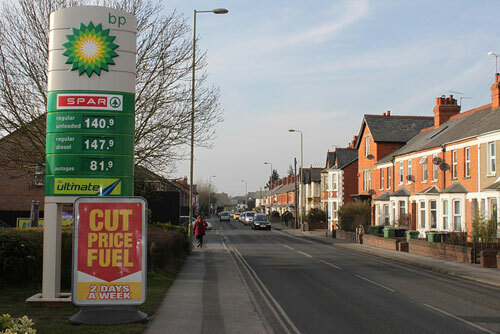 Firms often move petrol prices in response to changes in the oil price. However, the introduction of the supermarket own brand petrol has changed the market. Tesco and Sainsbury’s are more willing to sell cheaper petrol to attract customers to shop at their supermarket. This takeaway coffee at 99p is quite cheap – suggesting a competitive oligopoly. However, for many customers, the price of coffee is secondary to the quality and environment of the coffee shop. 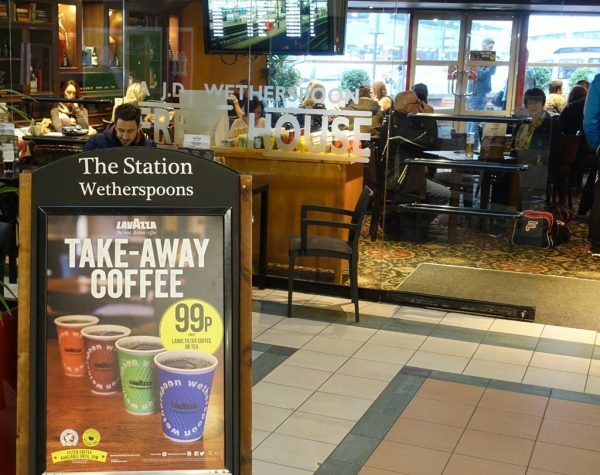 Traditional coffee shops like Costa and Starbucks use more non-price competition to attract customers – as much as offering cheap prices. In fact, there is a danger selling cheap coffee – may indicate to consumers lower quality.